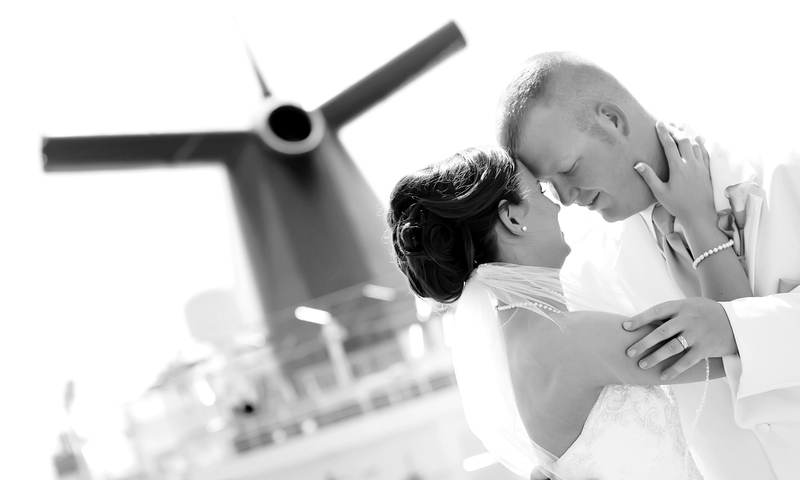 Carnival Cruise Lines has totally revamped its popular wedding program – upgrading everything from floral arrangements, decorations and photography to delicious new culinary selections and an even greater variety of romantic on-island ceremonies – allowing couples to make their “big day” even more special and memorable. Available both aboard ship on embarkation day or in tropical ports of call, Carnival’s wedding packages are already immensely popular – with more than 2,600 ceremonies performed each year. Couples can say “I do” during unforgettable shipboard celebrations which now include a diverse array of lavishly presented culinary options and upgraded beverage service, along with new multi-tiered wedding cake choices like chocolate ganache, coconut cream, and red velvet, all baked on board. Enhanced amenities such as a decorated wedding aisle and other traditional touches, along with upgraded champagne flutes and other keepsake items, are also included. For those who want to tie the knot in paradise, Carnival offers a variety of beachside ceremonies with recently added choices such as Grand Turk and Freeport complementing Barbados, Grand Cayman, St. Thomas, the private Bahamian island of Half Moon Cay and other beautiful and exotic locales. Wedding packages include the services of a personal wedding planner to assist the couple on their special day, as well as priority check-in and boarding for all wedding guests. Wedding packages can be customized with music and videography services at an additional cost. Couples can also reaffirm their marriage vows with Carnival’s Renewal of Vows ceremonies which are performed by the ship’s captain. Carnival has also updated its wedding web site (www.carnival.com/wedding-cruises) to reflect all of the new choices and has also created a glossy new brochure to provide an at-a-glance view of the company’s wide-ranging offerings.